A holiday party or office event is a great way to show employees a good time, promote staff bonding and say thanks for continued hard work. Unfortunately, there is also an elevated risk of inappropriate behavior that could become a problem for leadership. As simple as it may seem, a company-wide email a few days before a party or outing can make a big difference. Whether it’s an annual holiday event at a nearby restaurant or a smaller gathering, a short but clear reminder of expectations is essential. This not only establishes accountability but also reminds staff that office decorum and usual rules still apply. Managers, department heads, and senior-level employees can provide insight about where problems might arise. Past experiences can be valuable, but these individuals also know team members more intimately. These people can also help reinforce and model the expectations set before a holiday party or corporate event. This extends beyond good behavior; getting festivities started in an inviting but appropriate fashion sets a tone for the rest of the staff. Importantly, working with employees can provide insight that can make the event more enjoyable. 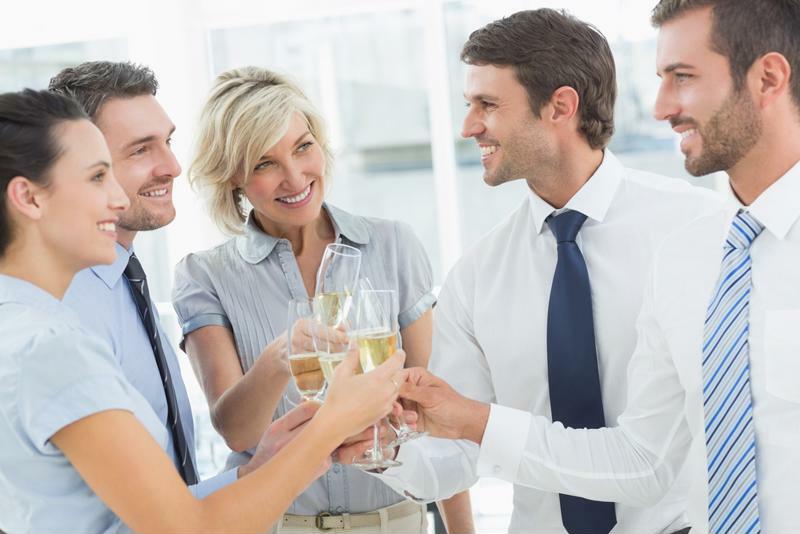 Company parties are an excellent way to boost morale and engagement, but as Psych Central found, many employees dislike major corporate events. The introduction of alcohol can complicate office relationships and create embarrassing or uncomfortable situations. These events can also see arguments and other problems that range from bothersome to detrimental. Managers and other employees can be important allies in making sure staff members enjoy themselves appropriately and without any contentious or lamentable circumstances. Work with leadership leading up to and during the big night to make sure everything goes off as smoothly as possible. Part of minimizing any issues during a holiday party, or other company event, is to avoid areas of concern in the first place. This could mean limiting refreshments to beer and wine, or ending the celebration on the early side. This also extends to playing appropriate music and implementing a dress code. Opt for an event that is classy and elegant without trying to be too wild or crazy. An office party should be refined and enjoyable, not overly rambunctious. Throwing a successful corporate event extends beyond controlled measures and setting guidelines. There are plenty of proactive ways that you can frame a party or get-together to make it more appropriate. Inc reported that there are dozens of small activities to hold during an event that are memorable and enjoyable. These can give employees something to bond over and limit the amount of time that’s simply spent drinking and hanging around. A photo booth is just one example of an easy way to make a holiday party or other celebration more fun. Team members can jump in and take group pictures with fun props. These photos can also be shared online to make the event even more engaging. You may also decide to forgo an off-site party and instead take staff out for an extravagant lunch or to a favorite spot downtown. This extends the same warm gesture and can be a fun way for staff to spend time together while limiting the possibility for trouble.